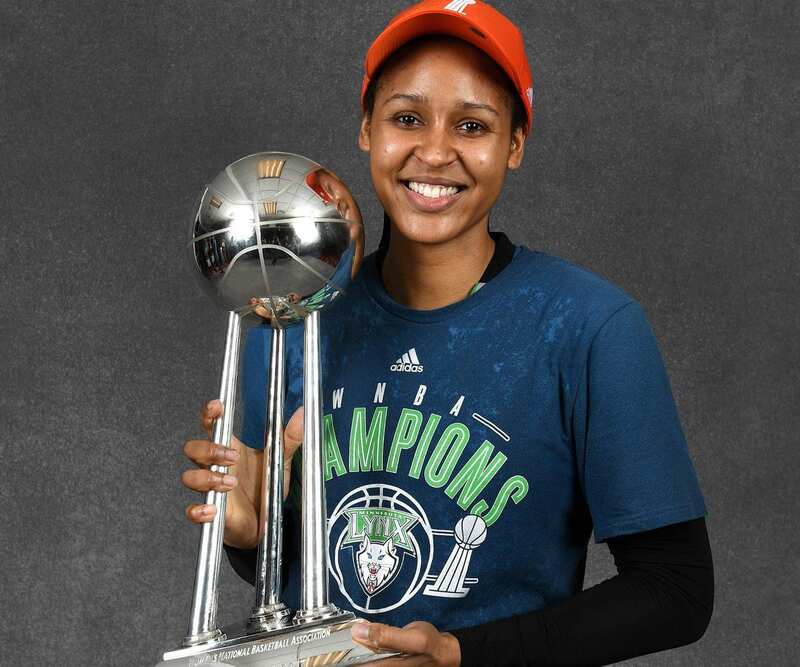 Minnesota Lynx star forward Maya Moore was named Sports Illustrated’s Performer of the Year after capturing her fourth WNBA Championship this season. Down 2-1 in the WNBA Finals, Moore helped to lead the Lynx back to beat the Los Angeles Sparks. With the title on the line in Game 5, Moore scored 18 points and pulled 10 as the Lynx won their fourth title since 2011. Moore, 28, was selected number one overall by the Lynx in the 2011 WNBA Draft. Since then, the records she’s achieved on the court are nothing short of spectacular. She’s a 4-time WNBA Champion, a 5-time WNBA All-Star, the 2013 WNBA Finals MVP, a 2-time WNBA All-Star Game MVP, and the 2011 WNBA Rookie of the Year.